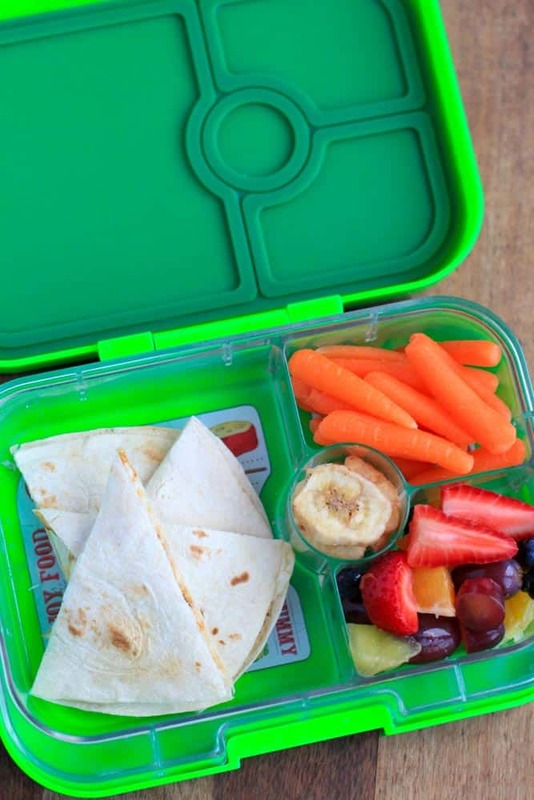 Check out my back to school lunchbox ideas. They all include simple healthy whole foods you can put together quickly - great for pre-school & kindergarten. 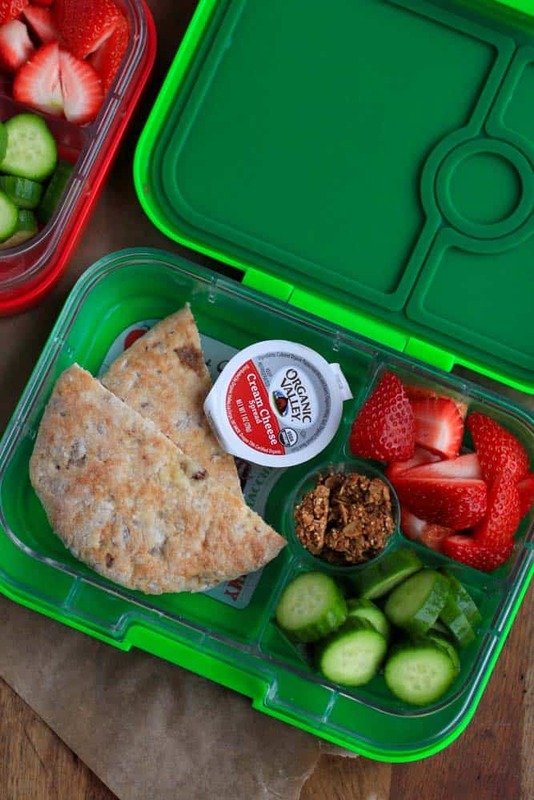 Hope these ideas help you pack nutritious delicious lunches for your kids, so you don’t get stuck in a processed food rut. Back To School is Upon Us! It’s back to school season! My friends in California and Florida already started school last week and this week. For us in the midwest, we can still hold on a little longer to summer since the first day of school is not for another 2 weeks. 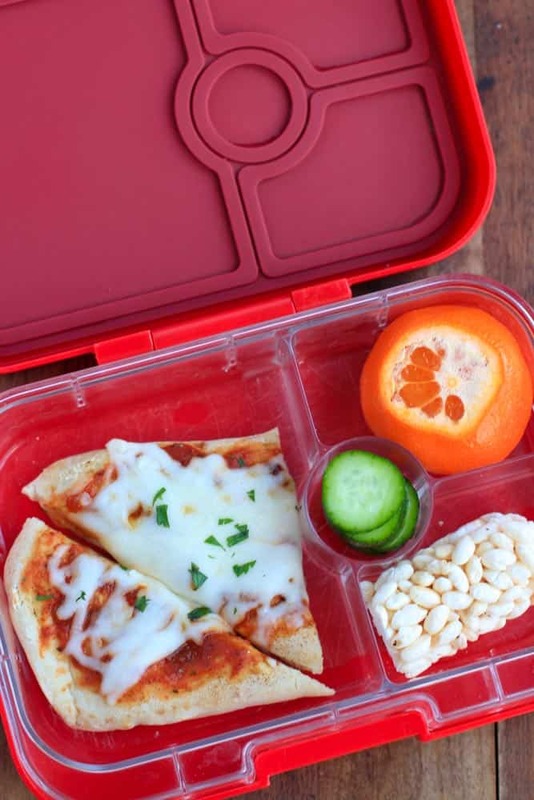 But it’s time to start thinking about what renewing those lunchboxes from last year, upgrading to bigger sizes or just thinking about just what those lunchboxes will be filled with. For many schools, young kids don’t have the option to have their food heated, so I find that it’s best to stick to cold lunches. 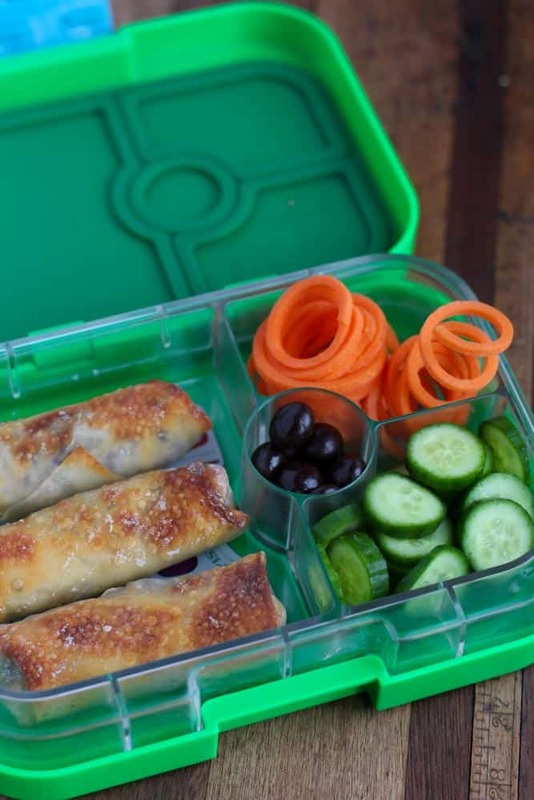 However, every now and then, especially when I have a ton of leftovers of a hot dish my kids love, I do use the Omie Lunch Box which has an insulated bento box that stores hot and cold food all in one box. It has 2 temperature zones so entrées keep warm while veggies and fruits, or even milk boxes, stay cool! The other “cool” thing about Omie is that there’s a removable latch that you can place in the vertical or horizontal section of the box to add a divider, so you can include different foods without them mixing all together. I like this for small eaters because they can nibble on a variety of foods. This is an affiliate link to Amazon if you’d like to buy it. It comes in three adorable colors! Omie Lunch Box. 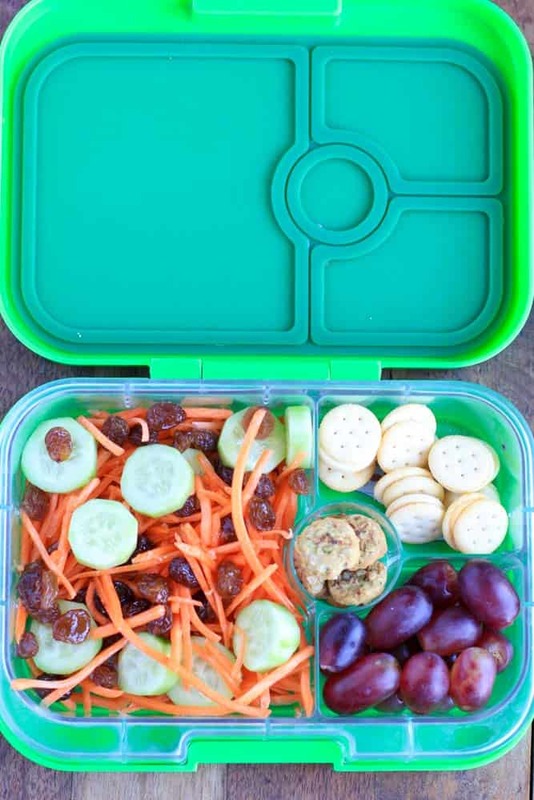 The lunch box I use the majority of time with my kids is the Yumbox Lunch. 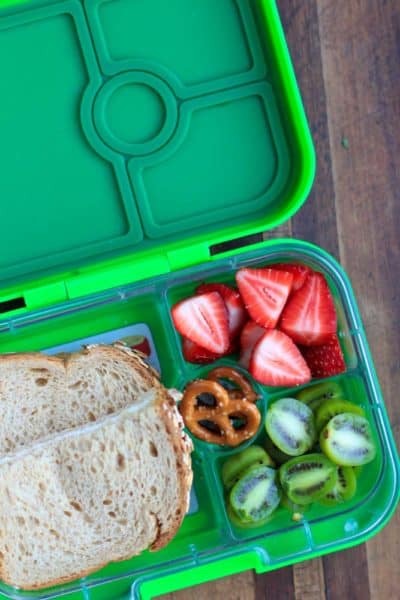 My kids are 6 and 4, and they are super slow eaters so the amount of food that fits in here is just perfect for them to eat during a 30 minute lunch break. The other great benefit is that it’s lightweight and compact with an easy-open latch, so it fits nicely in their backpacks or even in the standard size thermal lunch totes if you have one of those. Then there’s a leakfree lid, which means you can put salad dressing in one of the compartments or yogurt and not worry about it leaking out. 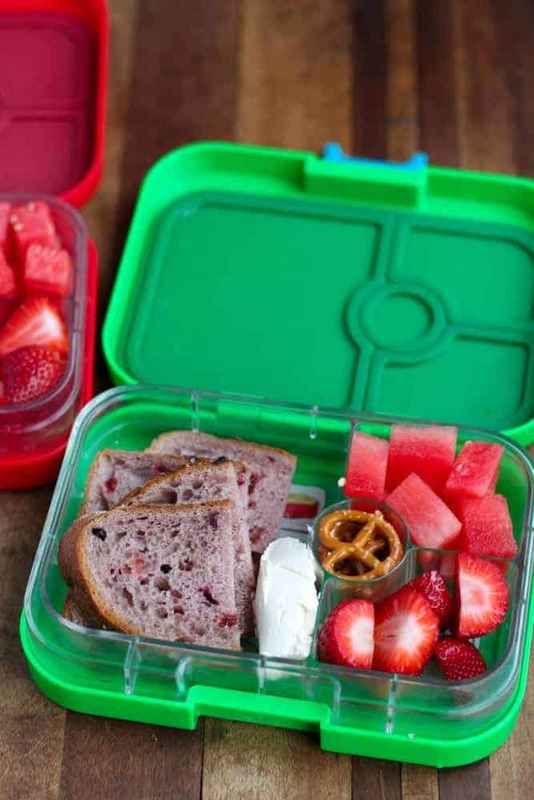 With this lunchbox, there’s no need for ziplock bags, multiple containers, plastic wraps and snack packs…all the lunch is in one compact container…so easy, so cute, so fun! If your kids love having sandwiches, but you want to avoid deli meats and other processed meats, here are some yummy substitutes. Don’t worry that your kids need an abundance of protein at lunch. They just need a well-balanced meal that contains whole grains, fruits and vegetables that will provide them ample nutrition and energy for their busy days. Vegan “turkey” made from tofu – aka tofurkey – which tastes just like the real stuff and doesn’t have all those nitrates and preservatives. Sunbutter (for nut-free schools) with bananas or other fruits or even honey in a wrap. On the sweeter side of handheld options, you can also throw in some of these treats! No Bake Pumpkin Spice Balls: Have the kids help you make the batter. It’s vegan, no-bake and packed with lots of good protein and fats. Such a nutritious and delicious treat! Kid-Friendly Muffins: The batter is pretty basic for this, and the fun comes in what you choose to stuff them with. Check out the list of ideas I included. Macaroni Salad: Pick their favorite pasta shape and throw in kid-friendly veggies like carrots, peas and corn. You can use any on-hand salad dressing or the one I use with pickle juice in this macaroni salad. Caprese Pasta Salad: Green pasta is so fun for kids. Try to find little pearl mozzarella and cherry tomatoes to add to it, and it makes for a colorful nutritious lunch! Tomato Cucumber Avocado Salad: This is Adam’s favorite salad. Since I pack the lunches at night, I usually add the avocado in the morning and make sure it’s well coated in the lemon juice from the salad dressing. One-Pot Chicken Rice & Veggies: This one is better served warm so it’s perfect for the Omie lunchbox, but my son usually doesn’t mind having it at room temperature so I also pack it in the Yumbox. Pasta in a mug: You can literally make these two pastas while the kids are putting on their shoes. They take a couple minutes in the microwave, use only one mug and perfect for one person. 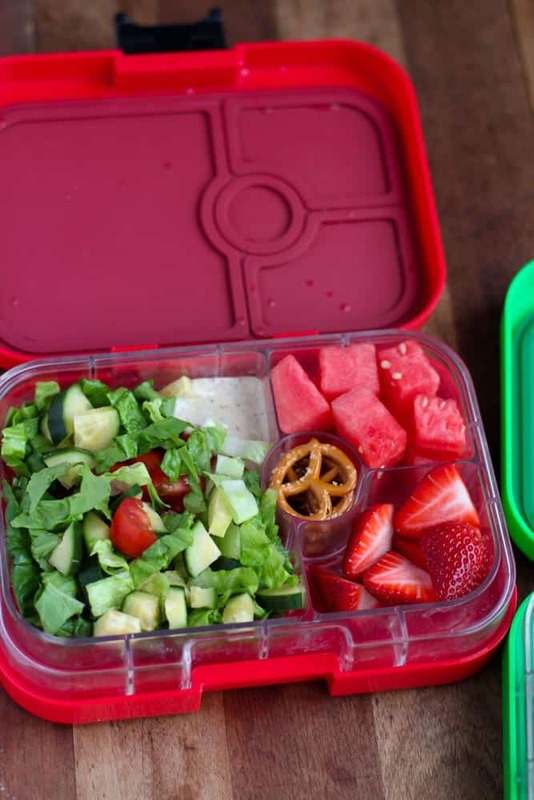 Simple salad with lettuce, tomatoes, cucumbers and dressing with a side of fruit and pretzels. Cranberry and seed whole wheat bread with cream cheese, fruit and pretzels. Carrots, raisins and cucumber salad mixed with lemon juice and a drop of olive oil, with a side of cheese crackers, grapes and power seed crackers (found at Wegmans). Zaatar spring rolls cheese and zaatar spice, along with spiralized carrots, cucumbers and dark chocolate covered berries. 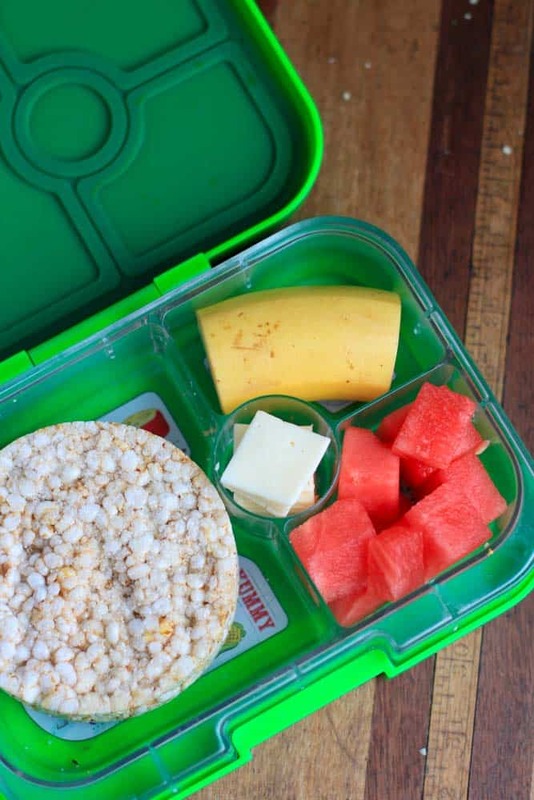 Rice cakes, cubed cheese, banana and watermelon. Grilled cheese with a side or mangos, watermelon and pretzels. Sprouted whole grain bread with cream cheese, strawberries, kiwi berries (how cute are these??) and pretzels. Quesadillas made with Mexican cheese and baby spinach, with carrots, fruit salad and banana chips. Cheese pizza made with naan bread, marinara sauce, mozzarella cheese with light pizza seasoning, along with clementine, sweet rice cracker and cucumber slices. Morning Rounds (with 5g of protein!) along with cream cheese, strawberries, cucumbers and granola mix. 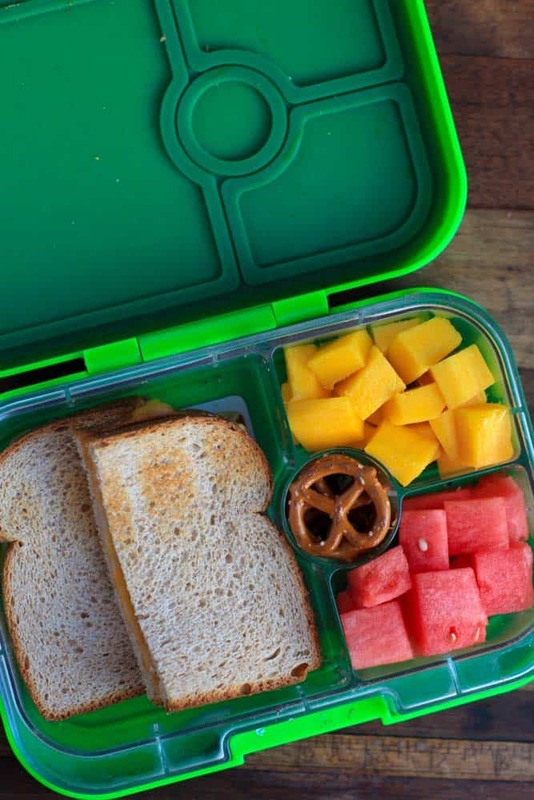 Hope these lunchbox ideas serve as an inspiration for your kids and encourage your little ones to eat more whole foods and especially fruits and vegetables. Keep it colorful, keep it simple and keep it interesting! If you enjoyed this blog post, please share it with your friends or on social media and tag #feelgoodfoodie on Instagram, Facebook, Pinterest and Twitter! If you’d like to purchase either lunch box, feel free to use these Amazon affiliate links: Omie Lunch Box or Yumbox Lunch.